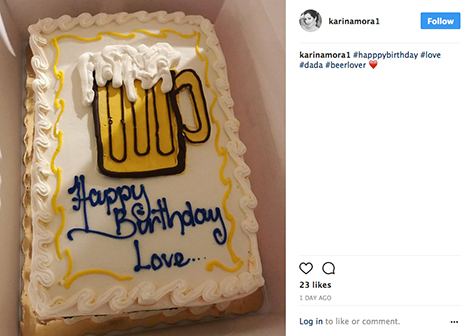 Mora, a 36-year-old Mexican actress living in Florida, was arrested early yesterday after allegedly slamming a birthday cake on the head of her boyfriend, according to a criminal complaint. 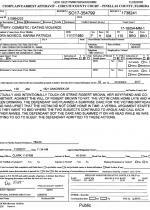 Cops say that Mora “had planned a surprise cake” for victim Robert Brown’s birthday. However, Brown “came home late and had been drinking,” which upset Mora and prompted a 1 AM argument in the couple’s home in Dunedin, a city 20 miles west of Tampa. 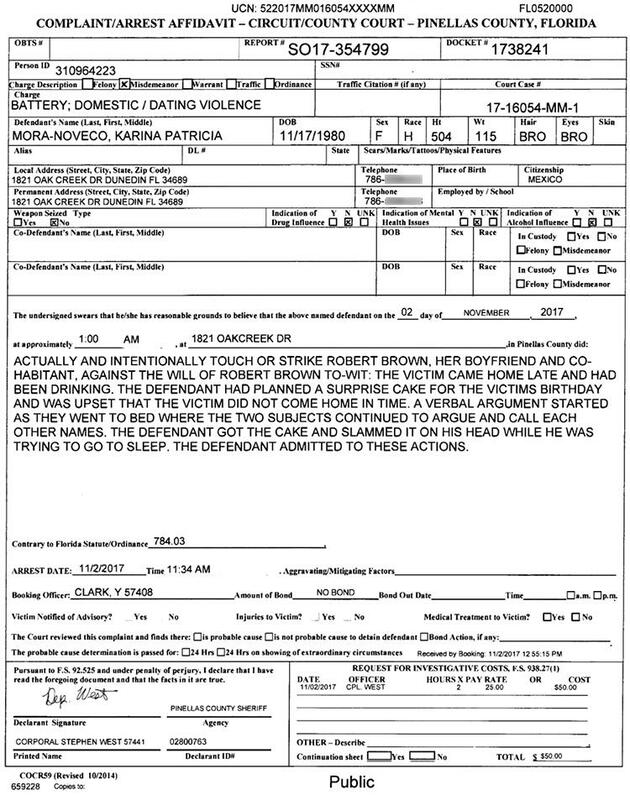 When subsequently questioned by a sheriff’s deputy, Mora reportedly “admitted to these actions.” Brown, who turned 56 yesterday, does not appear to have been injured in the cake thrashing. Charged with domestic battery, a misdemeanor, Mora was booked into the county jail (from which she was released this afternoon on her own recognizance). Mora has appeared in numerous Mexican telenovelas, films, and TV commercials.